Mohammad Buhari is profoundly and thoroughly championing, participating and entertain all manners of forgery and deception. The presidency and APC encouraged crimes like certificate forgery. 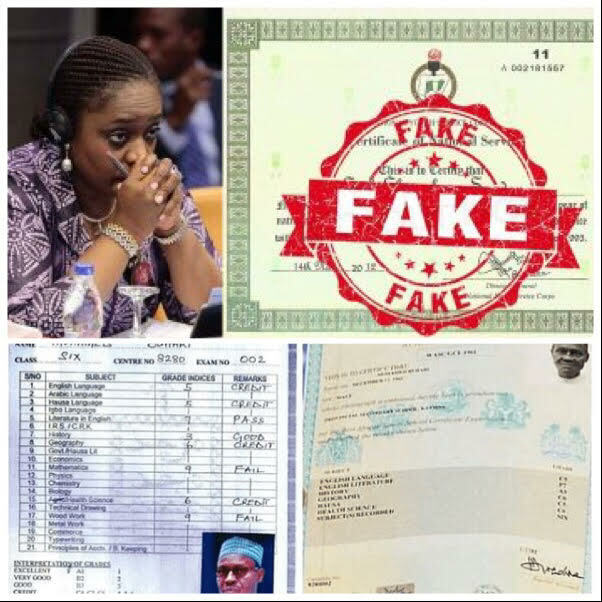 Examples are Muhammadu Buhari’s WAEC and former minister of finance Kemi Adeosun’s NYSC. There are also manipulation of election results in Ekiti and Osun States governorship elections in 2018, influenced census figures to attract huge allocation and development to Northern parts, budget padding, governor Rochas Okorocha issuing of a bounced cheque to Imo State Civil Servants in 2017. Currently, the two that are making the wrong headlines and waves in Nigeria and diaspora are the Armistice Day celebration in Paris which showed how corrupt, insincere and shameless this administration is and the forged WAEC certificate, which has raised eyebrows of world intellectuals, academics, IPOB and world-leading figures. Although Nigeria has a dark spot on their map, since Buhari came into power deceptions, corruption and forgery have now turned to culture in Nigeria. In 2015, during the presidential election campaign, Goodluck Jonathan challenged Buhari to produce his WAEC certificate; Buhari presented a controversial and questionable WAEC certificate to compromised INEC. This raised dust in Nigeria and almost led to a crisis because Buhari and his supporters threatened fire and brimstone. Jonathan allowed the sleeping dog lie to avoid a bloodbath in Nigeria. Later, one Barrister Nnamdi Nwaokecha resurrected the Buhari's WAEC saga and boldly sued president muhammadu Buhari to provide his WAEC certificate. President Buhari unleashed over twelve senior advocates and a team of lawyers to intimidate the young barrister in the court. Barrister Nnamdi Nwaokeocha received uncountable death threats from Nigerian security apparatus and the Northern leaders; he decided to drop the case against Buhari. The Nigeria Bar Association even refused to support and follow up the charge because the Nigerian judiciary exchanged justice and the rule of law for just a pot of porridge, automatically making the last hope of an ordinary man a mirage. Compromised judicial systematically poured cold water on the incriminating and impeachable offence like forgery and deception. In the year 2014, leader of IPOB, Mazi Nnamdi Kanu countlessly informed the gullible individuals and politicians that Buhari does not have WAEC certificate, still all of them kept mute thinking that they will fix it as usual but the recent appearance of Mazi Nnamdi Kanu wildly exposed and re-echoed what he said in 2014 on Radio Biafra platform that Muhammadu Buhari has no WAEC certificate. Aso rock, Sokoto Caliphate and APC government, have been gripped with WAEC fever, every sector in Nigeria is shaking, at the centre of them all is the APC presidency because IPOB threatened to sue WAEC for indulging in academic crime like forgery. The confused APC government and the biased minister of information Alhaji Lai Mohammed are in a thick mess and political disarray because things have fallen apart. The president has no WAEC certificate. In fact, WAEC fever has gripped the presidency. Within four years, President Muhammadu Buhari has presented two different WAEC certificates. Let’s conduct critical analysis on both of them sequentially. The first certificate presented by Mohammadu Buhari in 2015, the result details; the letter heading of the certificate carries Ministry of Education Katsina State with these information: May/June 1961, name of the school: Government College (Pilot) Katsina, he wrote eight subjects including mathematics with passport photograph of Buhari around the age bracket of 55 years to 60 years. The certificate was signed without the name of the principal on it, and the name on the certificate is Muhammadu Buhari. 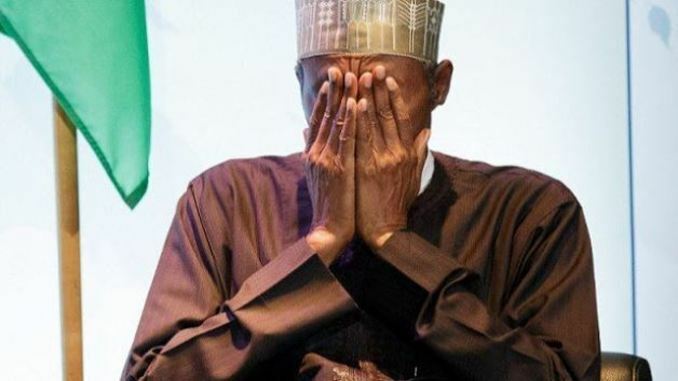 While in the second WAEC, the letter heading has “The West African Examination Council and West African Senior School Certificate” with Buhari’s passport around age bracket of 80 years to 85 years, the subjects he participated were English language, English Literature, history, geography, Hausa, health science without mathematics and woodwork. The certificate was signed by WAEC with WAEC logo on it. Both first and second results are biometrically opposite and different including the name on both certificates. The examination number, centre number, list of subjects, names of subjects, passport photograph, school location (Katsina) are not the same on both certificates. Beside the first certificate has mathematics and woodwork, while they are missing in the second certificate. Finally, WAEC introduced the Hausa language in 1975, Katsina State was created on September 23, 1987, while the result date is 1961. WAEC in the 1960s has no such passport format then, automatically making the results fake. Now, WAEC fever has gripped and hit Buhari and his cohort hard, once more, I say “good morning gullible Nigerians”. The question remains, where are the professors, lawyers, academics, doctors and intellectuals? Where are you when stack illiterate like Muhammadu Buhari ruled Nigeria without the minimum educational requirement (WAEC certificate)? If he did not die, he probably would have continued ruling. Nigeria, it is too late to cry when the head is off.